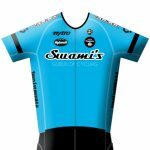 As Swami’s Cycling Club approaches its 30th anniversary year in 2019 it seems the right time to reflect on and celebrate the wide-ranging and inclusive nature of the club. To that end, we have become aware of various rumors and statements being made that Swami’s has somehow distanced itself from certain rides; specifically the A and B rides on Tuesday, Thursday and Saturday: this is simply untrue. The World Famous Swami’s Saturday Ride, Gene Kelley Ride, Wed Worlds and all other A-E rides ARE Swami’s club rides and will continue to be so. As we like to view all of our members as ‘Once a Swami, always a Swami’, we similarly view these rides as an integral part of the club and our contribution to the local cycling community as a whole. Swami’s continues to stand at the forefront of the Southern Californian cycling community for its ability to attract riders of all levels: from complete beginners to world-class racers. We will continue to honor and celebrate all members for their achievements on the bike whether it is participating in their first group ride or taking victory in yet another race series. We believe that what matters most at the heart of Swami’s Cycling Club is the desire to be community leaders in cycling and to encourage and recognize all cyclists, regardless of ability; whether a regular fixture on the World Famous Swami’s Saturday Ride or taking part in one of our Beginner Rides for the first time. All cyclists have value in the club and the wider cycling community. It is the inclusive nature of Swami’s that has inspired our members to aspire to the top reaches of the sport and will continue to do so as we look toward the next 30 years in our thriving cycling community.